"This discovery revolutionises our understanding of trade in an archaeologically neglected part of Ethiopia. 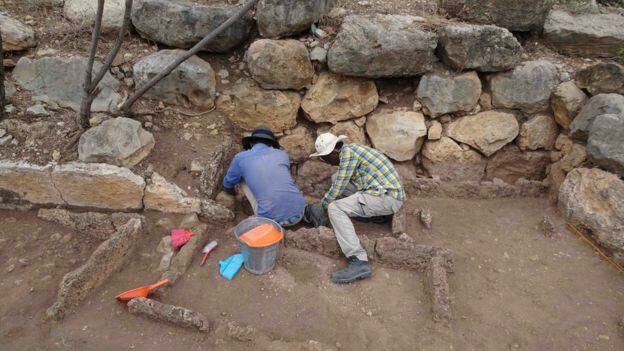 What we have found shows this area was the centre of trade in that region," lead archaeologist Professor Timothy Insoll from the University of Exeter said. Harlaa was a "rich, cosmopolitan" centre for jewellery making, Prof Insoll said. "Residents of Harlaa were a mixed community of foreigners and local people who traded with others in the Red Sea, Indian Ocean and possibly as far away as the Arabian Gulf," he said. 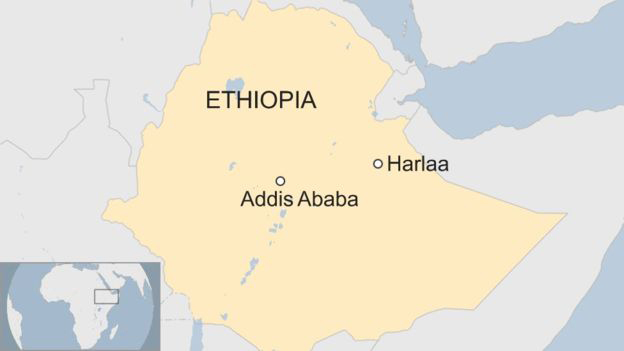 BBC Ethiopia correspondent Emmanuel Igunza says there was a local myth that the area was occupied by giants because the settlement buildings and walls were constructed with large stone blocks that could not be lifted by ordinary people. However the archaeologists found no evidence of this. "We have obviously disproved that, but I'm not sure they fully believe us yet," said Prof Insoll. A statement from the team says the remains of some of the 300 people buried in the cemetery are being analysed to find out what their diet consisted of. Further excavations are expected to be conducted next year.